Just a heads up, Swiffer announced on their facebook that they’ll be giving away 50,000 Swiffer WetJet Extra Power Pads this summer. Sometime today, they’ll be giving away 12,500. Just click here to visit their facebook and like them. Then keep an eye on the “Swiffer Giveaway” tab. It went live at 12 noon. Got mine! Great for those of us who can no longer do hands ans knees scrubbing!! I hate that I have to come to face book to try to get freebies, ya don`t stand much of a chance here! There are just too many people. I`d rather go to your private site to check then contend with all this!! I think this is awesome ! 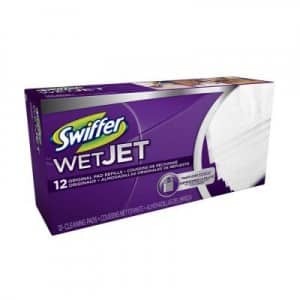 I have used Swiffer products and really like the job that they do. I love my swiffer stuff. I love my swiffer vac. I have been trying to get these power pads for days now . I am unable to get them because I do not have a printer I cant get them. Cant the samples be sent to my home. The time is now, I just filled out the application. They send you 2, one for you and one for a frend. I love my swiffer wetjet!!!! Hi my name is kat. I have a small appartment and this all I need to clean with. Its a wounderful product. Cant live without it. I love my swiffer work’s great!